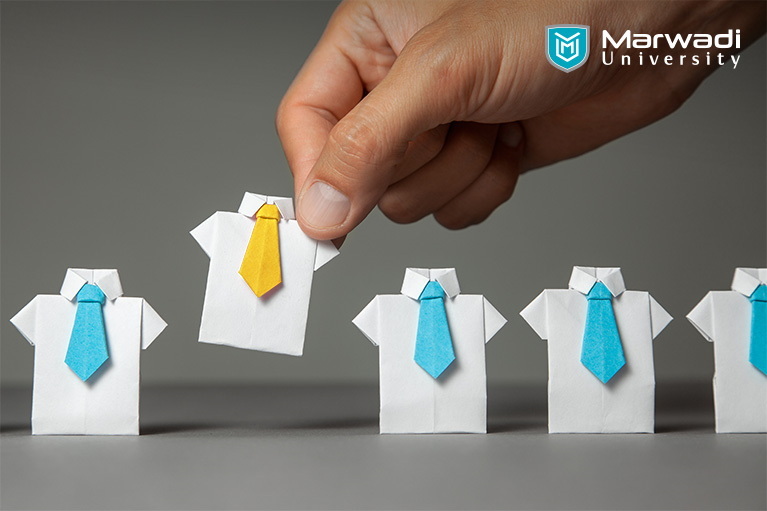 Marwadi University is known for imparting engineering education for the ever-evolving global scenario. It is one of the NAAC A+ credited universities, which makes it a top engineering college in Rajkot and one of the best for pursuing a BE course. Apart from the highest level of education, we also provide such facilities that boost the growth of students. Students here study under best faculties and get explored to varying curricular activities that make them all-rounders. Doing engineering can be very beneficial for your career and challenging as well because, it demands a lot of expertise in technical and soft skills. Moreover, students need to have practical and domain knowledge to leverage the benefits of the engineering profession. Marwadi University is one such university which provides its students with ample opportunities to grow and progress to their full potential. They are provided adequate infrastructure and support along with high-quality technical education that would take them to the new heights of success. Selection in BE courses is made on the basis of ACPC. For pursuing BE course, one must pass Class 12 in Science stream. The students must have Chemistry, Mathematics, and Physics as the subjects in Class 12. Students who have studied only these subjects in Class 12 are treated eligible for BE admission. In addition, students must score at least 45% For Open (40 % For SC/ST/SEBC) of marks in Class 12 to be eligible for BE admission in engineering colleges across the country. However, students belonging to reserved categories such as SC/ ST/ SEBC will have relaxation in the minimum qualifying marks. Admission Committee for Professional Courses (ACPC) is responsible to regulate and conduct admission of candidates in professional courses in various institutes. It monitors, supervises and controls the whole admission process from declaring a merit list to the allocation of government and management seats to students in educational colleges and institutes. Get more details regarding Admission in BE at Marwadi University on our other blogs!